• Wilkes expedition at Willamette Falls. •• Klamath Indians are observed hunting elk along the western side of Upper Klamath Lake. • John C. Frémont and Kit Carson pass through the Upper Klamath Basin. • The “Great Migration” to Oregon for homesteaders begins. A wagon train with 875 settlers including the Applegate Brothers and Peter Burnett, who would become the first Oregon Governor, leaves Independence, Missour for Oregon. The Applegates both lose a son in rafting accidents on Columbia River rapids. • Joel P. Walker brings 1200 cattle, 200 horses and 600 sheep from California to Oregon. •• Forty-two free agent mountain men, led by Old Bill Williams, spend the winter trapping around Upper Klamath Lake. They has contact but no problems with the Klamath Indians camped ten miles to the north. • Last mention of Finan McDonald in this area. 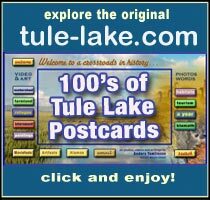 • Remains of Ancient Modoc Lake totals 360,000 acres. • Pierson Redding receives a 20,000 acre Mexican land north of Sutter’s grant. Present day Redding is located here. • William Shirley Williams, George Perkins, Bill Hamilton and 39 other men had a confrontation with 200 Modoc Indians near Lost River. 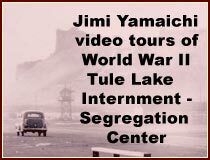 • May 1, Frémont camps on edge of Tule Lake which he named Rhett Lake. •• May 6 or 9, Three of Frémont’s men are killed by Indians at Denny Creek. • Frémont retaliates by attacking a Klamath Tribe fishing village named Dokdokwas, that most likely had nothing to do with the attack, at the junction of the Williamson River and Klamath Lake, killing 14 Indians including warriors, women and children. • Free Emigrant road or South Emigrant Road, Applegate Trail, opens. • The southern Oregon Trail opened. • England and the United States agree that the fourty-ninth parallel will be the boundary between the two powers. • 1846-47: Winter, Donner party is trapped in the Sierras. • January 24, carpenters from Oregon, James Marshall and Charles Bennet, discover gold at Sutter’s Mill. • First Chinese immigrants arrive in present day California. • Treaty of Guadalupe Hildalgo signed, California ceded from Mexico, California Republic established. • Gold discovered in the Lower Klamath Basin. Farms and ranches established in the Scott and Shasta valleys. • Oregon’s population is 13,294. United States population is 23,191,876. • Congress creates the post of Superintendent of Indian Affairs. • The Spanish Central America project, stalled, carries out surveys (also 1875) to find the best place for the canal. They suggested the most favorable routes were Panama (then a part of Colombia) and across Nicaragua. • April, 2,000 miners had arrived in “Thompson’s Dry Diggings” through the southern route of the old Emigrant Trail to test their luck, which took them straight through Modoc territory. • 1851-56: Southern Oregon Indians begin fighting with white settlers coming for gold. This starts the Rogue River Indian wars. • December, gold is discovered in Rich Gulch and the area quickly becomes Jacksonville. Abraham Thompson, a mule train packer, discovers gold near Yreka traveling along the Siskiyou Trail. • A pack route is found from Crescent City to the Rogue Valley. • The number of Chinese immigrants on the west coast increases to 18,000. • Wallace Baldwin was pasturing livestock in the Keno area. • September, a wagon train of some 65 men, women, and children on their way to new homes in California are attacked. Fifty-five whites die at the hands of Modoc Indians at Tule Lake at location that becomes known as “Bloody Point”. More bodies go uncounted and some survivors may have been kidnapped and sold as slaves. • Ben Wright leads a volunteer company in reprisal for the wagon train ambush. He entices a party of Modocs into council under a flag of truce. 41 Indians are murder by poisoned food. •• Sherman Brown traveled by ship to Panama, crossed the isthmus by mule and on to San Francisco by ship. • Winter, Wallace Baldwin grazes fifty horses on the west side of Upper Klamath Lake. • Sam Colver was appointed Indian agent for the rogue River Indians by Superintendent Joel Palmer. • November 25, Frémont travel south from The Dalles along the Klamath Trail, a slave trading path connecting the Columbia River to the southern border of present day Oregon. • June 12, Crater Lake is discovered by prospectors, the John Hillman party, in search of the Lost cabin gold mine. • First Jacksonville school. Mart Hoffman was the teacher of 20 pupils. Tuition paid with poultry, produce and livestock. • September, first recorded non-native ascent of 14,162 Mt. Shasta. • Klamath River Reservation established on the Lower Klamath River. • Lt. R.S. Williamson passes through the Upper Klamath Basin. • 1855-69: tree ring studies indicate Upper Klamath Basin precipitation was above normal. • August 18, 2nd Lt. Henry Abbott of the US Topographic Engineers writes of Upper Klamath Lake’s dark colored water with a disagreeable taste. • A total of 7,437 settlers have filed on 2.8 million acres in Oregon. • August, Lt. Henry L. Abbot, a member of the Pacific Railroad Survey, spends 19 days with the Klamath Indians. • Judge Frederick Adams wintered 2000 head of cattle in Keno area. • First permanent Jacksonville school house. •• Mrs. Sherman Brown and three children, George, Louisa and Daniel, travel by ship to Panama, crossed the isthmus on the new railroad and then sailed to San Francisco. • April 30, Martin Frain, fur trader, camps and establishes first trading post on Link River. • Big Jack Montgomery was robbed of $500,000 of gold at Jackson Creek on his run to Portland with his ten horse team. • The Siskiyou tollgate, “Dollarhide Station” opens. • A man name Ledford and four others are killed by Indians at Rancharee Prairie. Jacksonville residents as La-Lakes, the Klamath Village Chief, to punish the murders. La-Lakes brings to Jacksonville the heads of three offenders. • February 14, – Oregon becomes a state.